Sky’s Chris Froome missed an anti-doping control earlier this year and said on Wednesday, with just over a week until the Tour de France starts, that he takes full responsibility. Froome was on holiday with his wife in Italy when inspectors visited the hotel at seven o’clock. 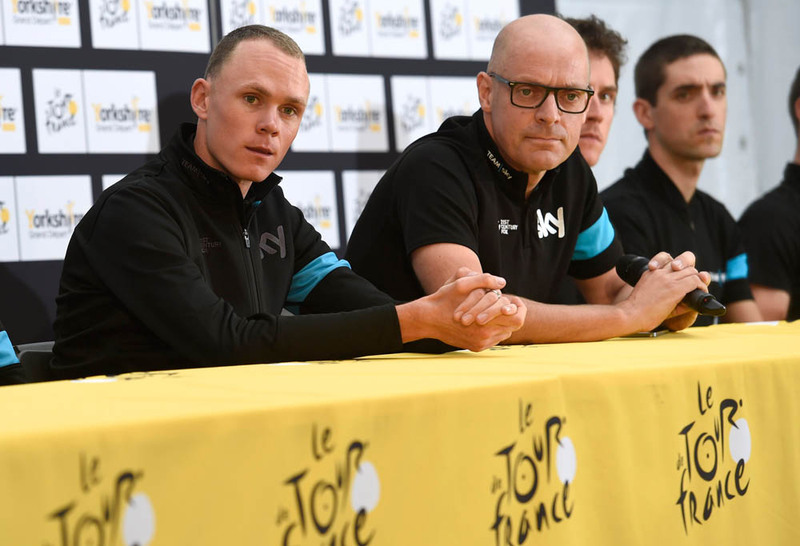 As per policy, Froome said the hotel’s staff refused to telephone and disturb its clients. The missed test would only be a problem if Froome had three in a 12-month period. Such a case would result in an anti-doping ban, which was the case for Danish cyclist Alex Rasmussen. Froome did not specify the date when asked or explain if he missed other controls. Such information is private and would only be made public if an athlete was banned. British runner Mo Farah, it was recently revealed, missed two anti-doping controls in the lead-up to winning two gold medals at the 2012 London Olympics. Mark Cavendish said in 2012 that he missed a test in April 2011 while on Mount Etna in Italy. Froome, besides taking responsibility, said that he sees himself as a spokesperson for cycling. He explained that is why he complained about the lack of anti-doping tests on the tiny Spanish island of Tenerife last year ahead of the Tour de France. “We’d come back and be asked if we were tested, every year the answer was ‘no.’ Something wasn’t right,” Froome said. “Many people use Tenerife as a key preparation ahead of the Tour de France and there was no testing. It was important to point it out to the authorities that this seemed to be a bit of an oversight that none of us were being tested. After winning the Critérium du Dauphiné, Froome has previewed some of the Tour’s key mountain stages. He has also been eyeing his rivals, including 2014 winner Vincenzo Nibali (Astana), Alberto Contador (Tinkoff-Saxo) and Nairo Quintana (Movistar). “Alberto has come in just winning the Giro, he set himself the big challenge winning the double. Vincenzo is coming in as defending champion. He’s taking a very similar approach to how he did it last year, where he’s not showing his cards at this stage. “Then you have Nairo who’s come back from a big block in Colombia, he’s never won the Tour de France, a Colombian has never won the Tour de France, that’s a huge motivation for him.